What Causes Water Heater Failure and Flooding? Water heaters are an important part of our home plumbing. Water heater failure can range from minor issues to major flooding, depending on the problem. If your water heater is not keeping the water hot, or you notice leaking or corrosion anywhere around the tank, CALL Always Affordable Plumbing TODAY before you end up with a major flood! The #1 cause of water heater floods is due to tank corrosion and rust. Over time, the integrity of the tank degrades. Eventually, this could lead to everything from a small leak, to a major burst causing flooding. The best way to prevent water tank flooding is to perform regular maintenance on it. Additionally, you should consider replacing your water tank as it approaches 20 years of age. The easiest way to maintain your water heater tank is to perform annual maintenance on it with a professional plumber like Always Affordable Plumbing. Our professional plumbers will perform a complete inspection of your water heater equipment, looking for corrosion and leaks. These are the early warning signs of a possible issue. Additionally, our maintenance service will include flushing the tank of built up sediment. This is the best way to keep your water heater working properly and extend the life of it. Water heater failures cost an average of $4,444 per incident after the deductible was paid. 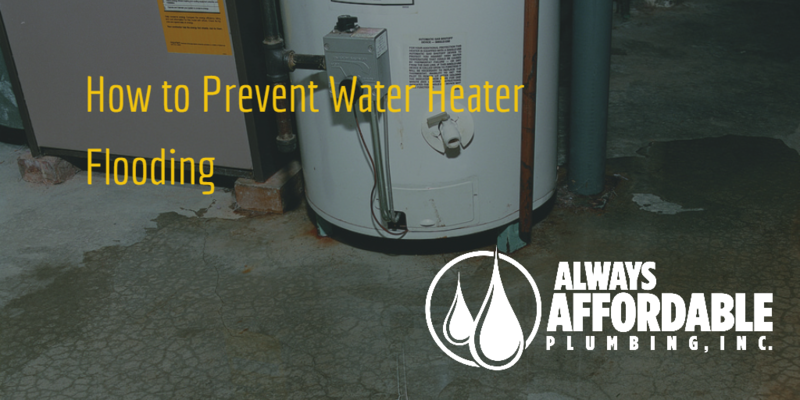 Water heater failures are one of the top five sources of residential water losses. 69% of all water heater failures result from a slow leak or a sudden burst. 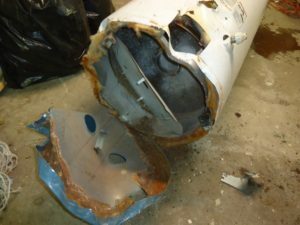 Supply line failure was the cause in only 10% of claims, but these claims typically were 60% higher than those caused by leaking or bursting. The age at which a water heater tank failed due to leaking or bursting was available for 32% of the claims. Water heaters up to 20 years old accounted for 95% of these claims. Failures of water heaters located on the first floor resulted in 33% greater losses than those resulting from water heaters in basements. Approximately 9% of all water heater failures occurred in unoccupied homes and resulted in 49% higher claims. As you can see, it makes a lot more sense to get your water heater inspected and taken care of before you end up with a flooded garage! Especially here in Sacramento, where most people don’t have a basement…imagine what damage you might incur if your water heater suddenly burst. Don’t forget, in addition to water heater maintenance, Always Affordable Plumbing is the best emergency plumber Sacramento has to offer!! So, should the worst happen, and you come home to a flooded garage, CALL ALWAYS AFFORDABLE PLUMBING, 24 hours per day, when your plumbing emergency can’t wait! !